Saraband is to publish on 6 December 2017 the “captivating” Goblin, by debut novelist Ever Dundas. It has been shortlisted for the Saltire Society First Book of the Year Award 2017 and been described by Stuart Kelly, writing in the Scotsman, as “the best debut fiction by a Scottish author since 2012… A profoundly affecting, intellectually challenging and beautifully written fable … a marvellous piece of work.” Goblin was originally published by Freight Books in May 2017. 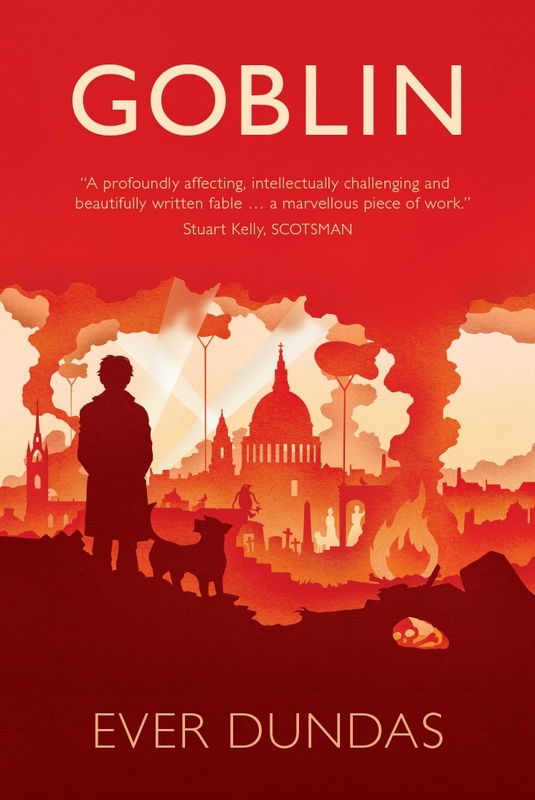 Set during the Blitz and the London riots of 2011, Goblin tells the story of “an iconic protagonist” with “a powerful imaginative force”. An outsider, the titular Goblin uses the power of imagination to help her navigate and survive in a cruel world, even to find a desperate kind of joy. But can she find truth when the distinction between illusion and reality is so blurred? One of the focal points of the book is a little known event of World War II: the mass killing of pets to “help the war effort”. Ever said: “I think we have an overly romantic and patriotic view of our involvement in WWII, which also feeds into current politics – and you can see how dangerous that is. “So when I heard about the pet massacre and the fact it wasn’t well known, I wanted to, as JG Ballard said, ‘rub the human face in its own vomit and force it to look in the mirror’. I think we need to face up to these things, the darker side, and not just have this overly romanticised version of our past. Publisher Sara Hunt said: “In Goblin, Ever has created a character to die for. The book itself has echoes of Jeanette Winterson and Angela Carter: it is a superb piece of writing. “But it was originally published by Freight Books earlier this year, just as the problems were emerging there. Obviously that timing was disadvantageous for the book. And we loved Goblin so much that we felt it deserved its chance to shine.